Your family is not a novelty. You are part of a growing movement to give interfaith children an interfaith education. But as pioneers in this movement, you will have to act as ambassadors, diplomats and educators in both of your communities. I suggest you offer to host a discussion group, inviting both communities, on what it means to raise children with both religions, and why you’re doing it. Some 25% of intermarried Jewish parents are now choosing this pathway, according to the 2013 Pew survey. A community that cannot handle such a discussion may not be able to provide a hospitable environment for your family. Many religious communities are progressive on everything from ordination of women to LGBT marriage, but still do not understand why families are choosing interfaith education for their interfaith children. Here are some ways you might consider explaining your approach. First, nationally, more intermarried Jewish parents are raising kids “partly Jewish and partly something else” than “exclusively Jewish.” Meanwhile, a significant percentage aren’t giving their children any religious education at all. You may have to remind people that you aren’t doing nothing, you’re doing both, with intention and effort. Warmly engaging with you — with interfaith families who are passing on religious traditions to children — is going to forge more appreciation for religion, than giving your family the cold shoulder. 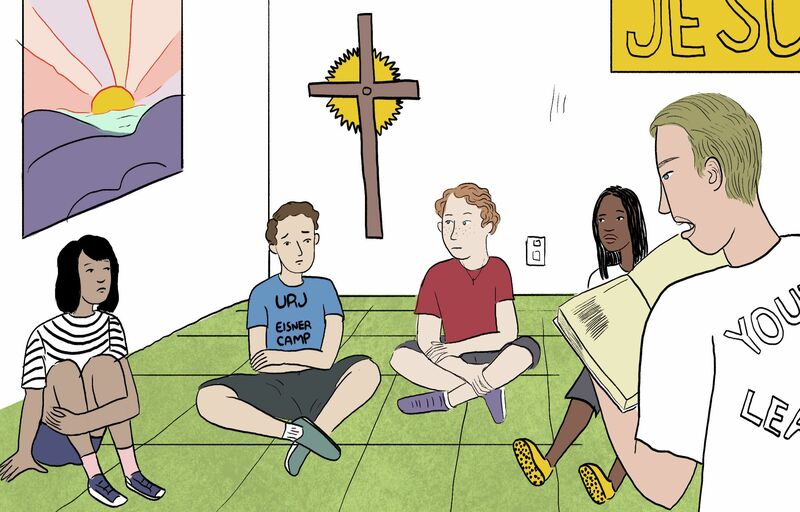 Second, I would humbly suggest that those who are concerned about stressing children by asking them to choose, might consider reading “Being Both”, in which young adults raised with both religions talk about their lack of confusion, and the many advantages they see in having received an interfaith education. I find it helpful to remind people that all children, no matter how they are raised, must grow up to make choices about what they believe, how they will practice, and where they want to religiously affiliate. So, choosing a religious identity is not just a terrible burden placed solely on the shoulders of interfaith kids raised with both family religions. It’s something we all wrestle with, in a context of religious freedom.